There are never enough pineapple bags. I love them. 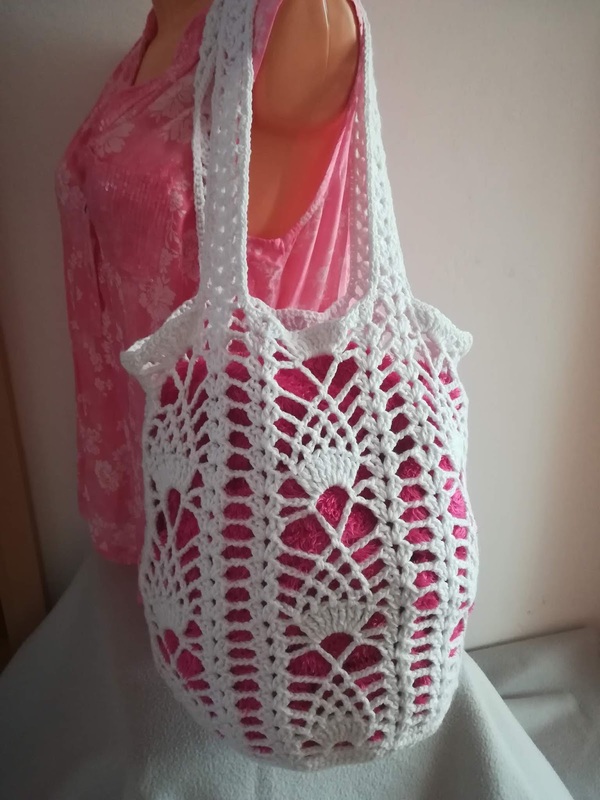 They are looking very eye catching and they can be very practical as well. 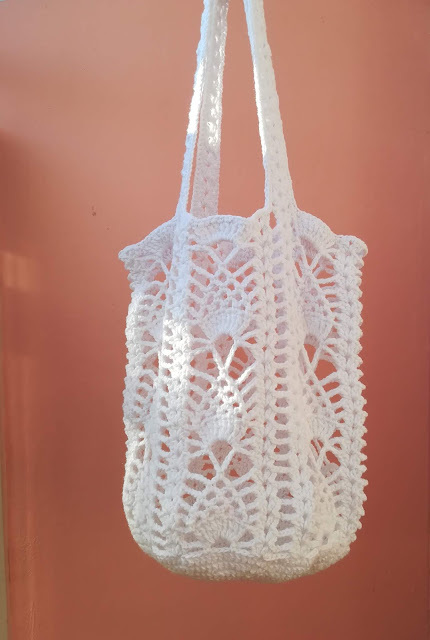 This is an ideal bag for the summer, plus easy and quick to make. For this pineapple bag you can use nearly any material you like. 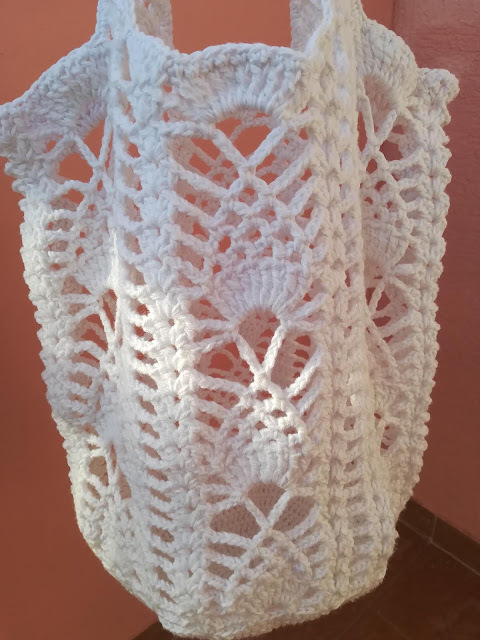 The pattern is made for a bag approx. 38cm (15’’) wide and 40cm (16’’) high. 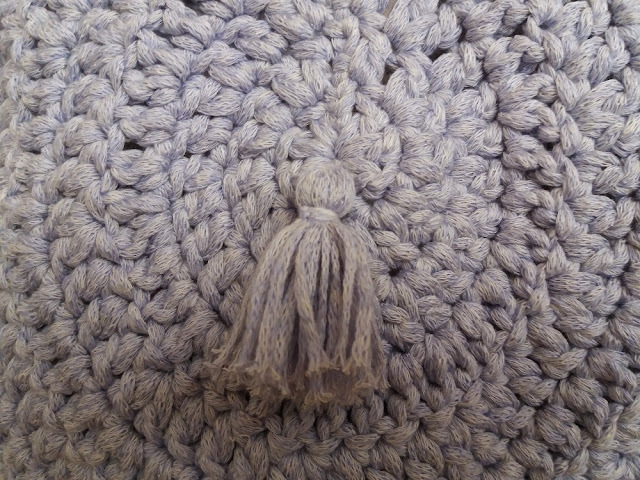 The handles can be as long or short as you will make them-in this case approx. 55cm (22”). 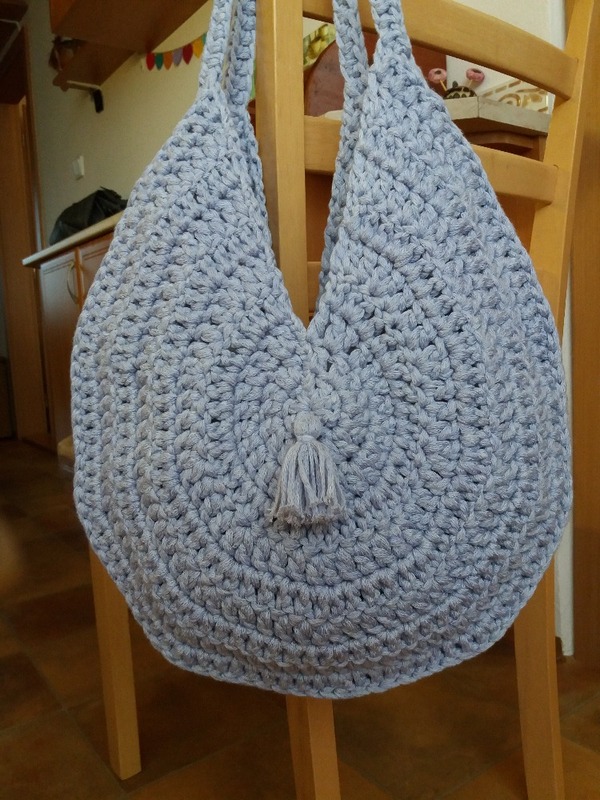 You can vary the size of your bag by using different type of material and/or different size of the hook. 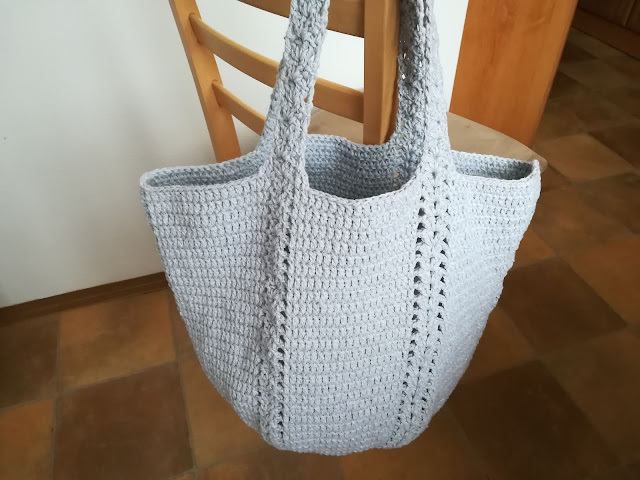 For this bag I used H/5mm crochet hook. 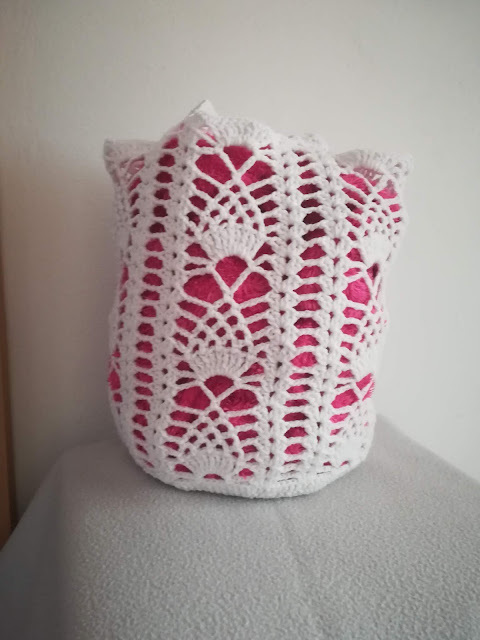 The pictures are there to help guide you through the crocheting, and supporting the written pattern for this market bag. I think a patient and dedicated beginner will manage as well. I know there were not any activities on my blog for a while. I'm sorry for that. 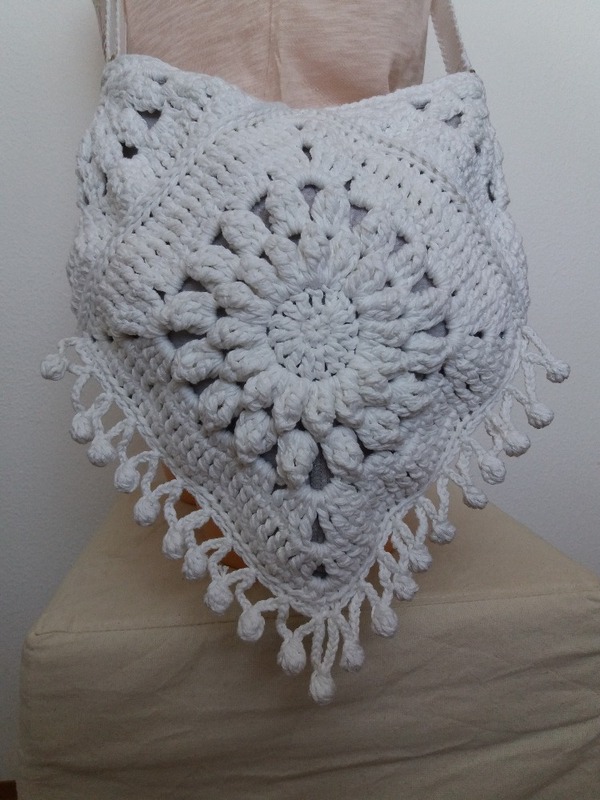 I am still with you and I am working very hard on new patterns I can share with you. I just have a little less time for posting right now. I'll try to change it. Summer is coming pretty fast and I have made a pattern for this shoulder bag. I think it is a very versatile and practical shoulder bag – you can use nearly any material you like and you can make the bag any size you like – from a little handbag to a large shoulder bag which can accommodate more than just necessities. It is up to you how big or small you will make it. The pattern is made for a bag cca 40cm (16’’) wide and 35cm (14’’) high. The handles can be as long or short as you will make them. You can vary the size of your bag by using different type of material and size of hook and/or adding/taking off the rounds of the bag. 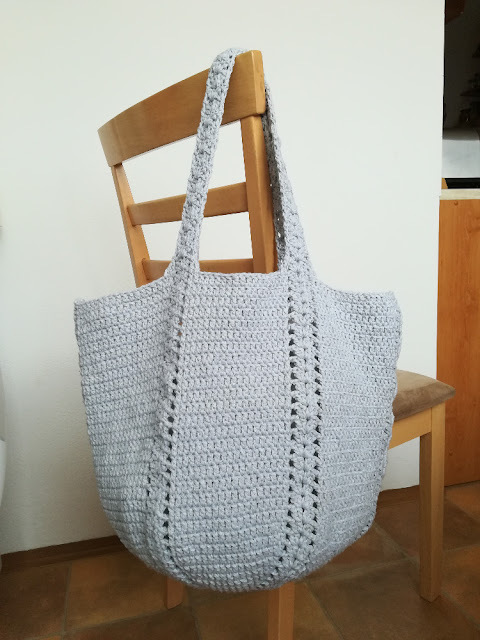 For this bag I used H/5mm crochet hook. The pictures are there to help guide you through the crocheting, and supporting the written pattern for this bag. I think a patient and dedicated beginner will manage as well. 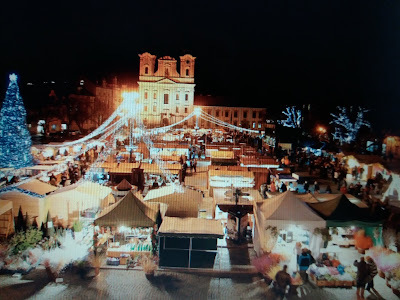 I think it is nice and easy project which will not take more than few evenings and the outcome is gorgeous. With huge thanks to all of you. During this festive season of giving, let us take time to slow down and enjoy the simple things. May this wonderful time of the year touch your heart in a special way. Wishing you much joy and happiness not just today, but throughout the New Year. 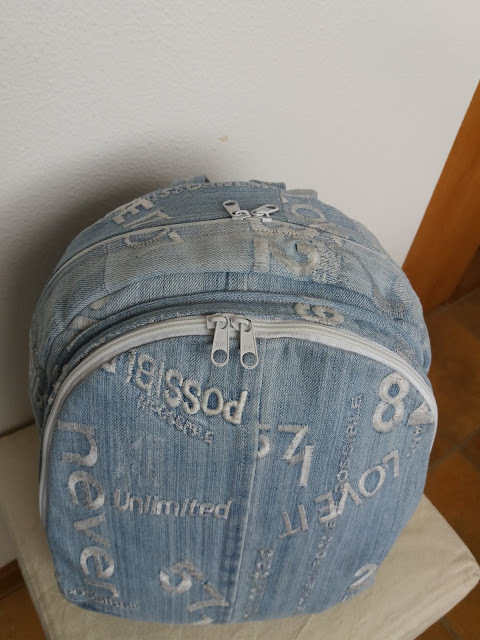 I saw this bag in one of the e-shops for an unbelievably high price. I could not find a pattern for it, so I wrote one. It is probably not exactly same as the picture I saw but I think it is pretty close. Making the bag is easy and fast. 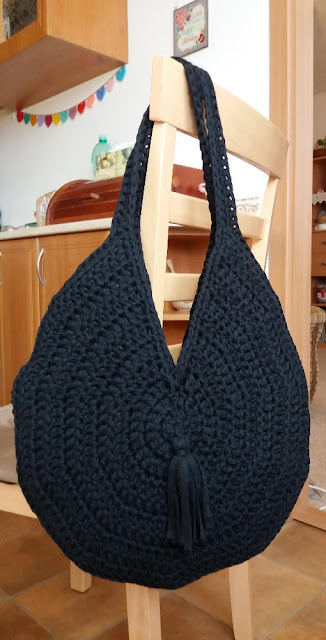 I think it is a very versatile and practical shoulder bag – you can use nearly any material you like and you can make the bag any size you like. 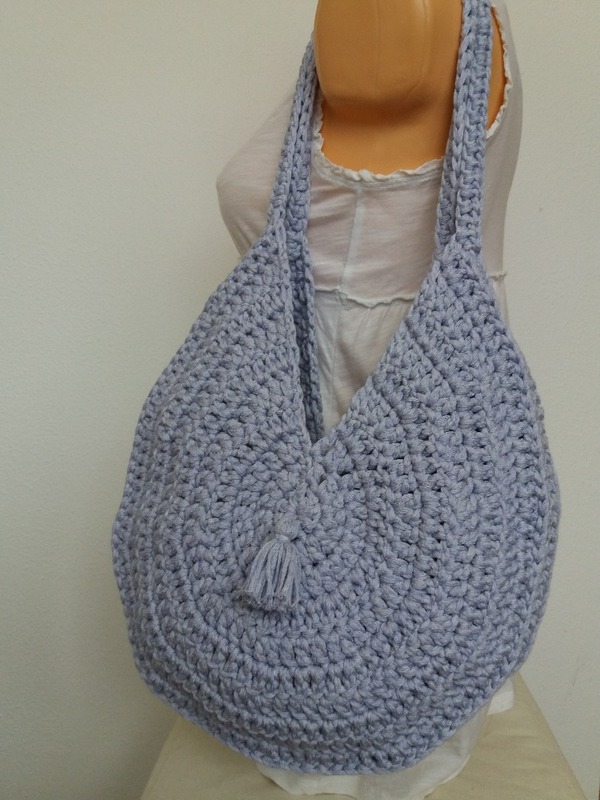 This bag can accommodate more than just necessities. The pattern is made for a bag cca 40cm (16’’) in diameter and 5cm (2’’) depth. You can vary the size of your bag by using different type of material and size of hook and/or adding/taking off the rounds of the bag. 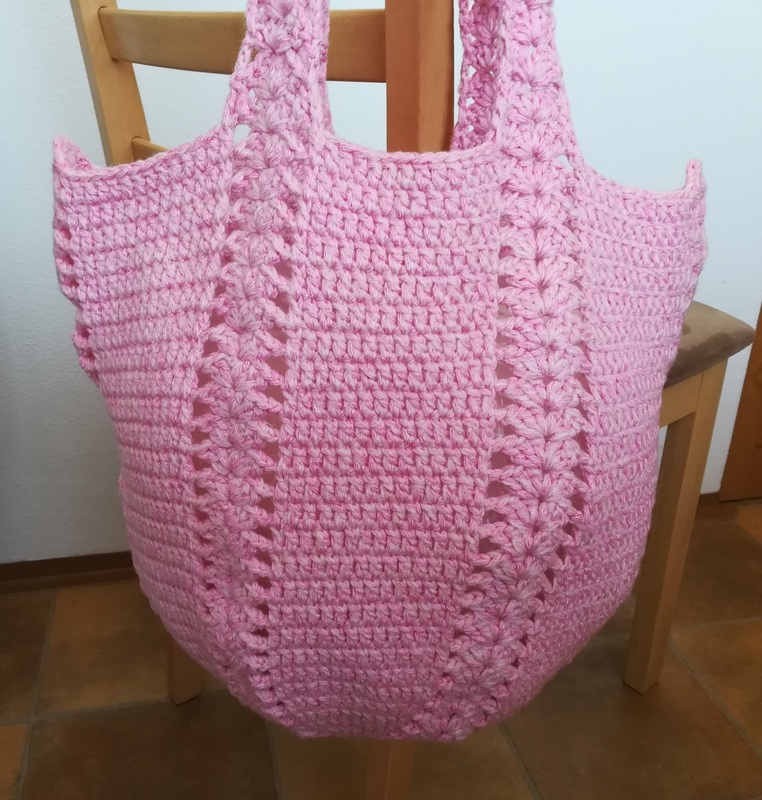 The pictures are there to help guide you through the crocheting, and supporting the written pattern for this bag. I think a patient and dedicated beginner will manage as well. I spent my holiday on one beautiful Greek Island. 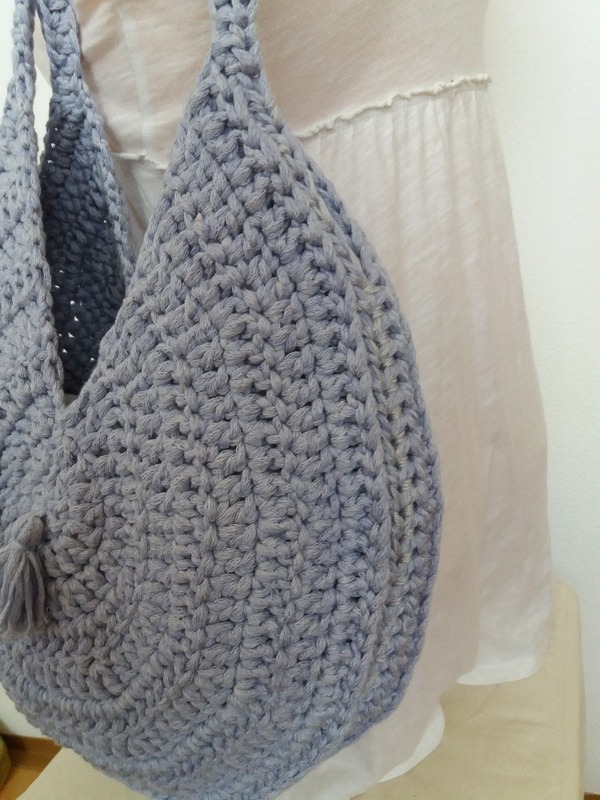 Quite a few of the Ladies were wearing all sort of stripy retro crocheted bags with a fringe. I really liked it. When I got home I tried to come up with something similar and here it is. My version of a summer, romantic, crossbody bag with a fringe. 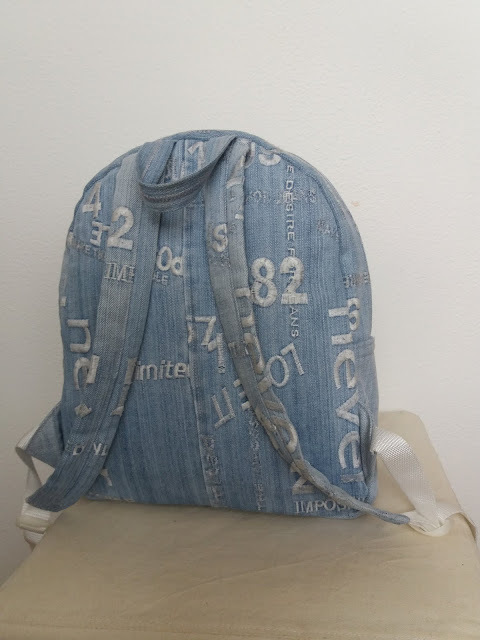 It is not a bag for heavy shopping but big and strong enough for all necessities. The pattern is made for a bag cca 30cm(12’’) wide and cca 30cm(12’’) high at the most, where one square measures cca 22,5cm x 22,5cm (9’’ x 9’’), diagonally cca 30cm (12’’). You can vary the size of the bag by using different type of material and size of hook and/or adding/taking off the rounds of the square. 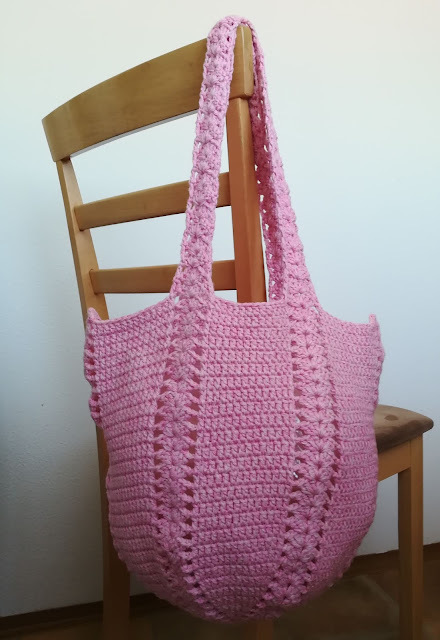 The pictures are there to help guide you through the crocheting, and supporting the written pattern for this bag with a fringe. I have added a little chart as well. 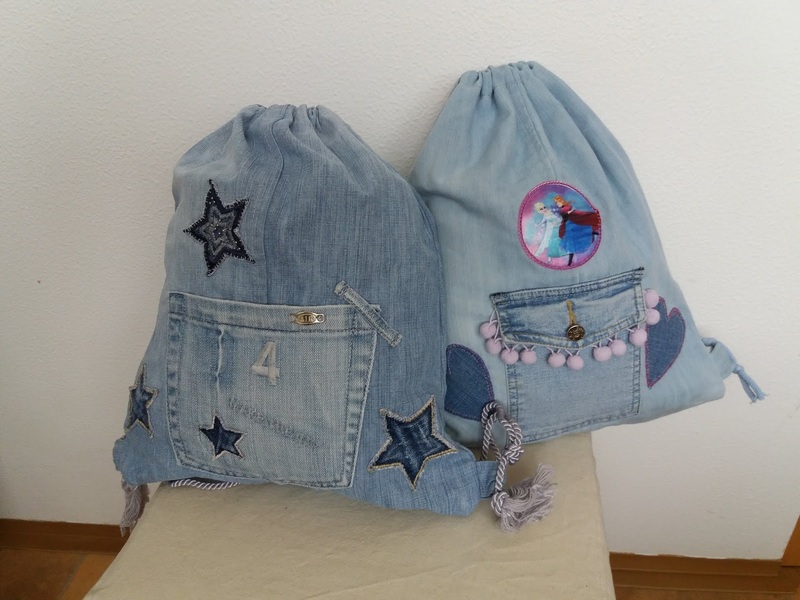 For the Summer I made a backpack for myself, and sacks for both my daughter and me. 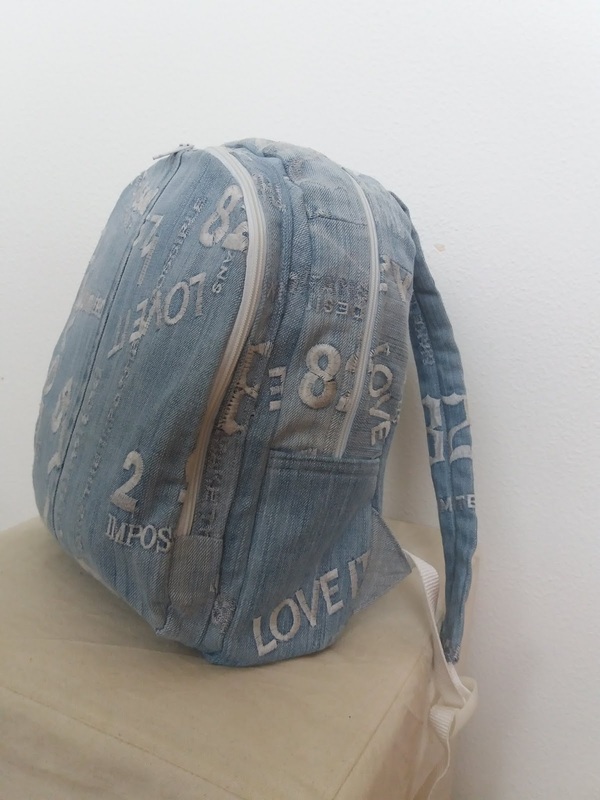 Take these pictures as denim re-purposing inspirations. I’m not a professional sewer and I have very little sewing skills, all from Youtube only. I wouldn’t dare to write instructions of how to make those items. 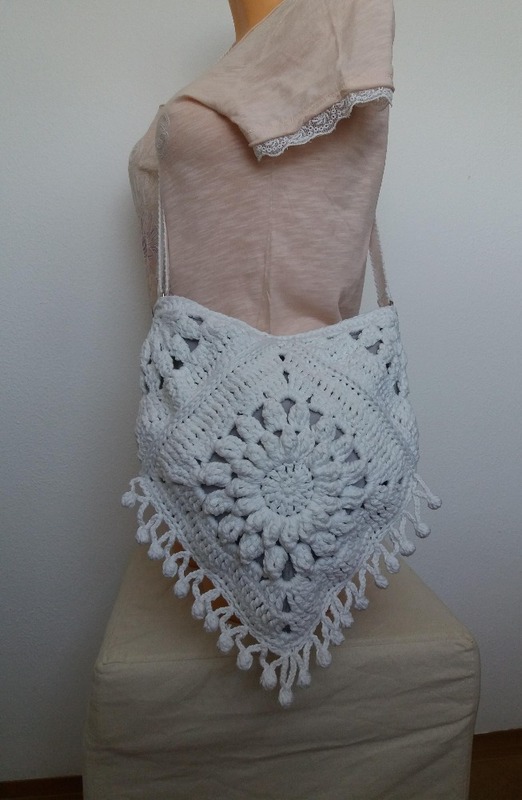 You can see you don’t really need much to make nice fashionable sacks. 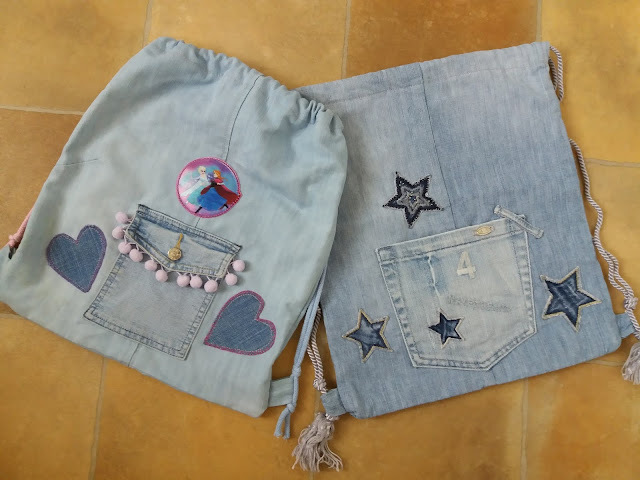 Just a bit of dedication, few pairs of interesting jeans and some stickers, bubbles or buttons you find at home. I got most of the material in local charity stores – all for less than 10 pounds. My only enemy was the time – I did “waste” quite bit of time thinking and preparing how to do it. But I’m not sorry; the bags came out excellent. We are using them a lot; perfect for holidays or school and nobody else has got the same one.